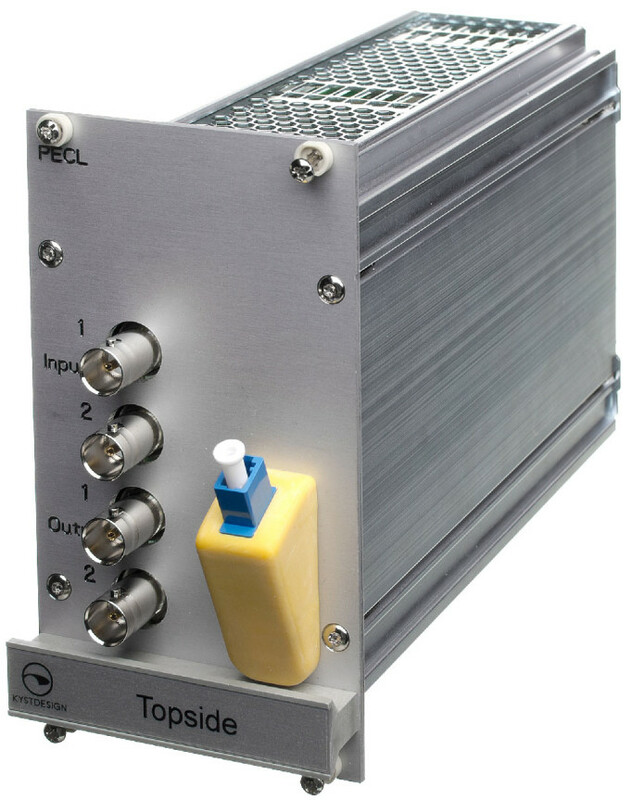 The KD-Con™ PECL (Positive Emitter-Coupled Logic) fibre Mux is a rack mountable unit that fit the KD-Con™ subsea pod and topside rack. It’s normally used by single or dual head multi beam sonars. Backplane design together with all fibre units terminated to a single front plate LC fibre connector, enables easy system swap. Units comes with complete fibre diagnostics when used together with the KD-Con™ Video Multiplexer.